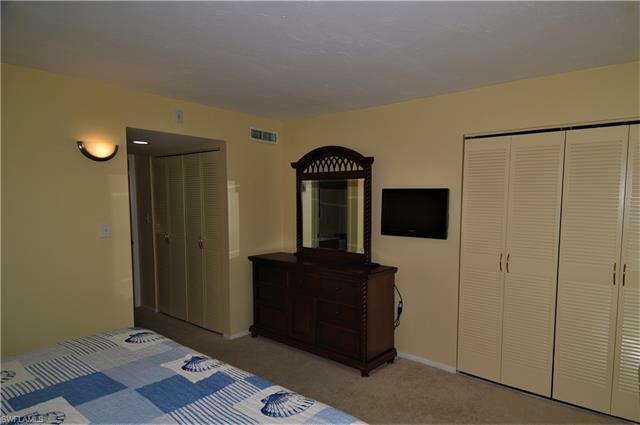 Ready for resort style living? 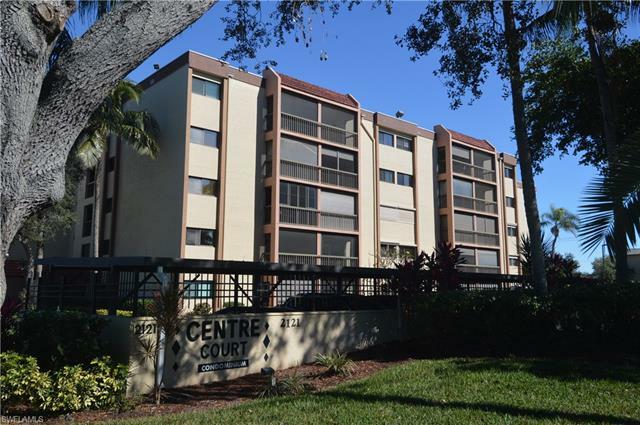 Centre Court is a tropical oasis close to Edison Mall, hospitals, public transportation, baseball stadiums and the Gulf beaches. 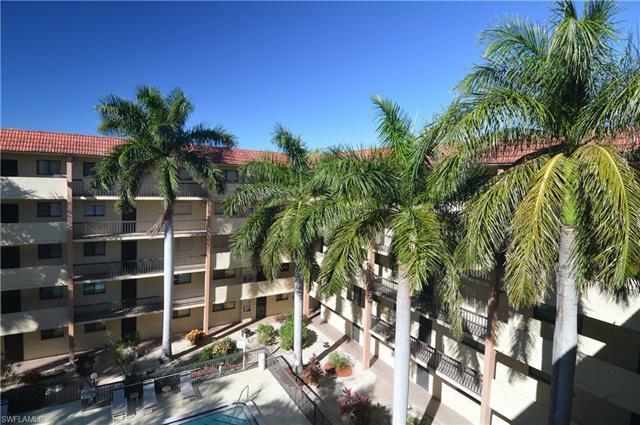 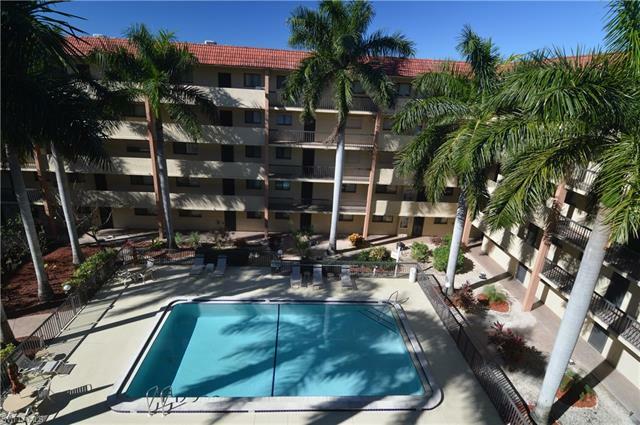 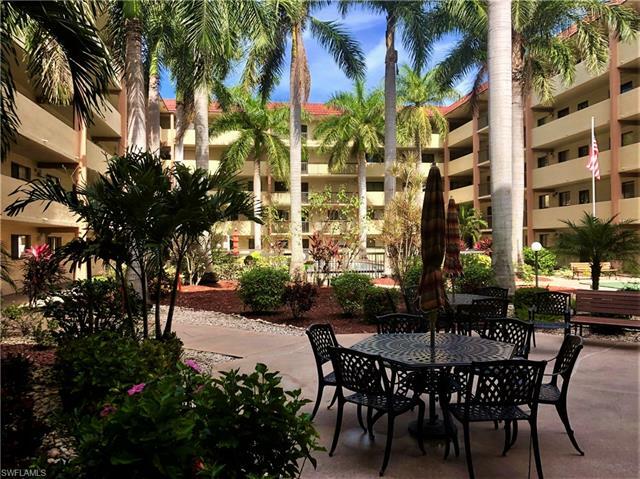 Known for its friendly residents and casual lifestyle you will enjoy spending your free time at the heated pool surrounded by Royal Palms. 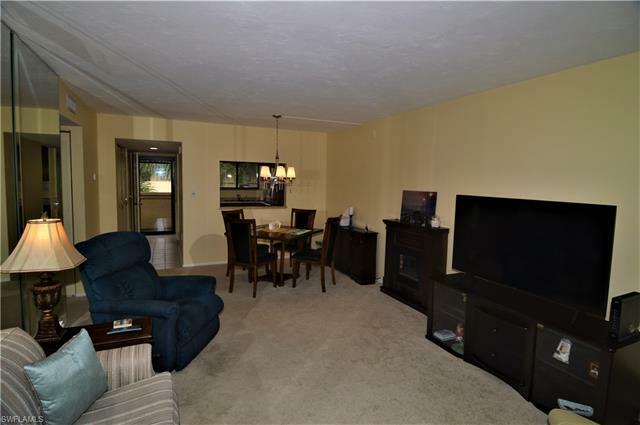 When you are ready to head indoors to relax and watch television on your 55 inch flat screen you will find everything you need. 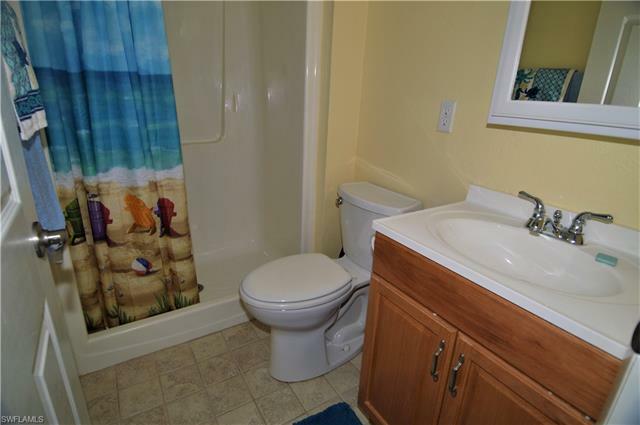 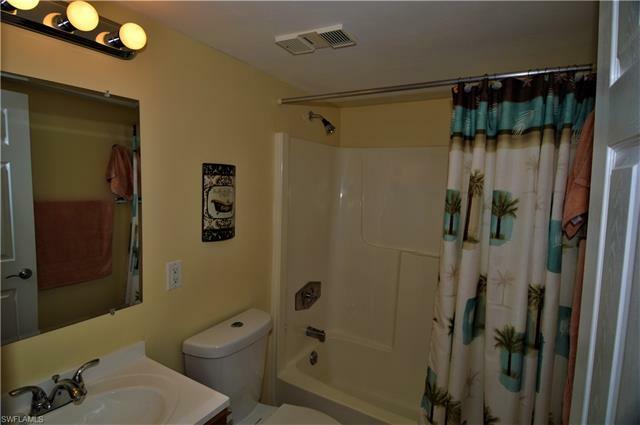 Being sold turnkey, all you need to do is bring your toothbrush and begin enjoying the Florida lifestyle! 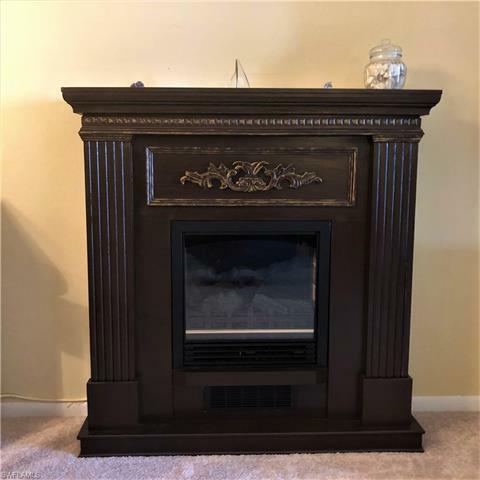 Your new home even has an electric fireplace to take the chill off when needed. 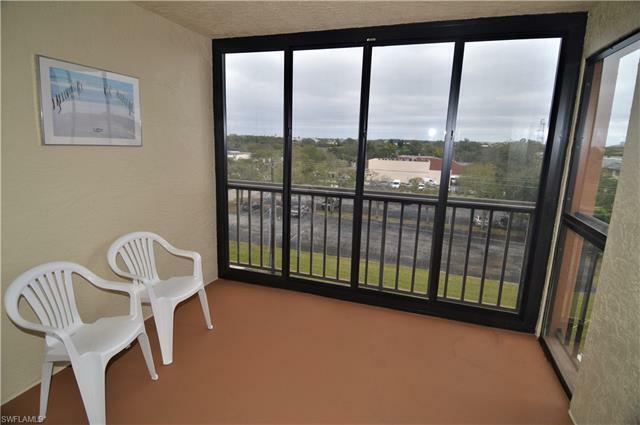 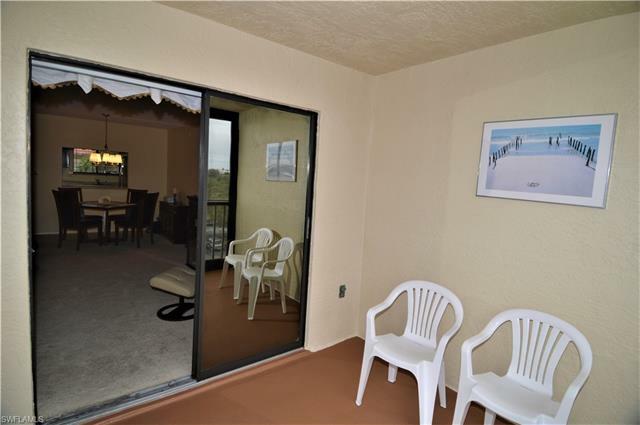 Glassed balcony lanai offers expanded living space. 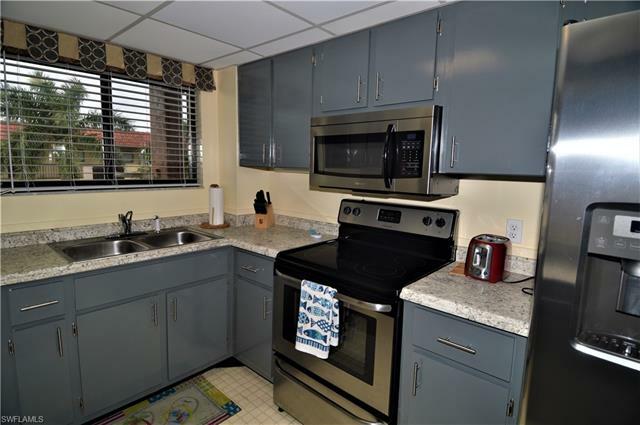 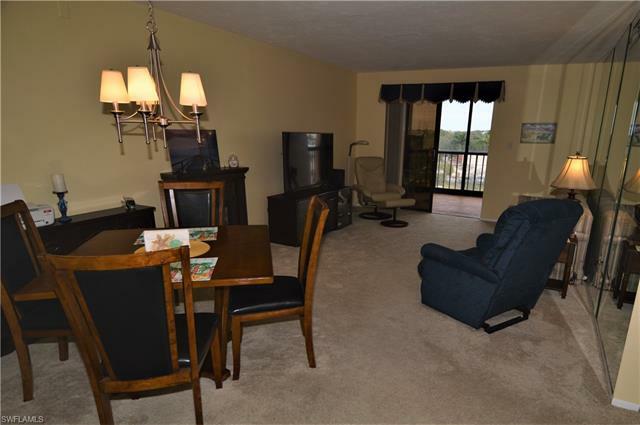 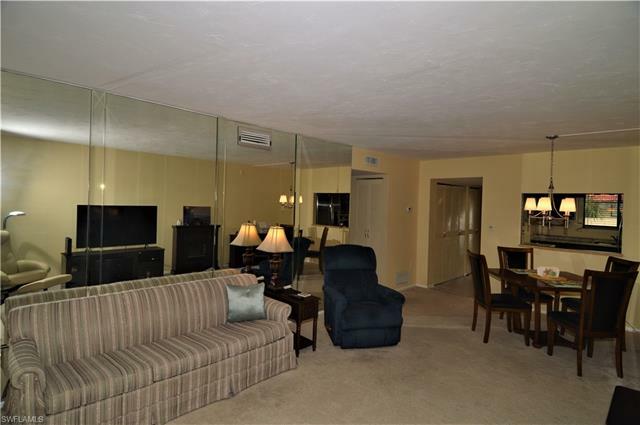 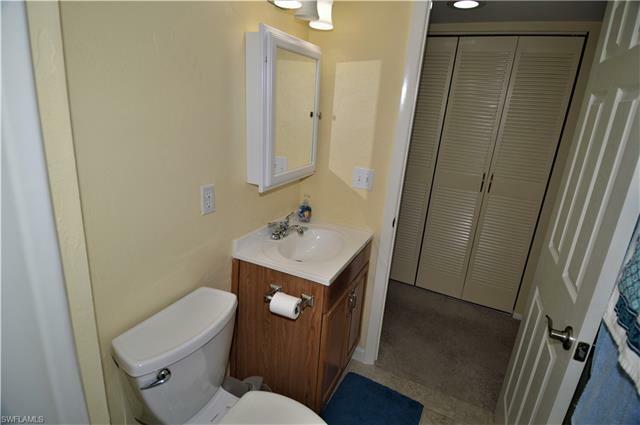 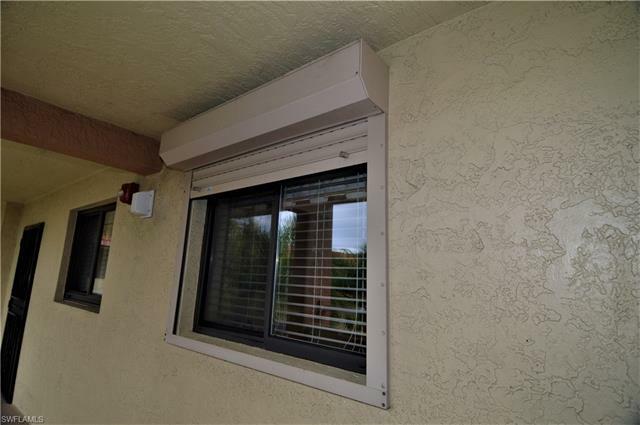 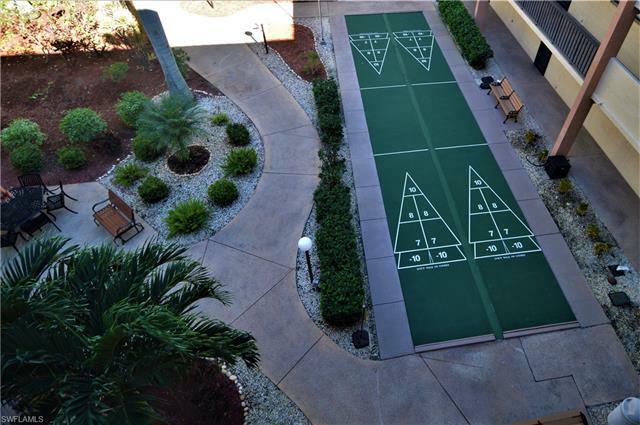 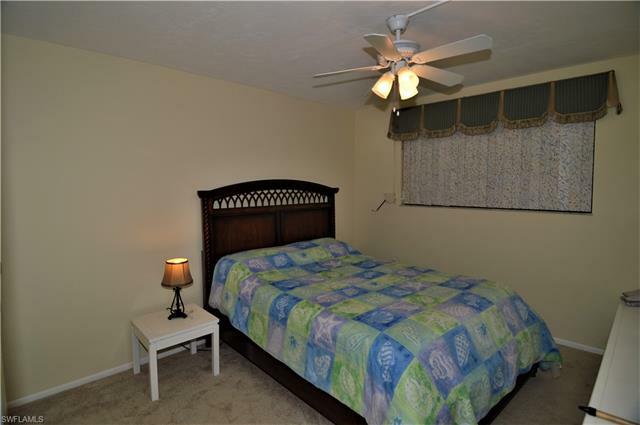 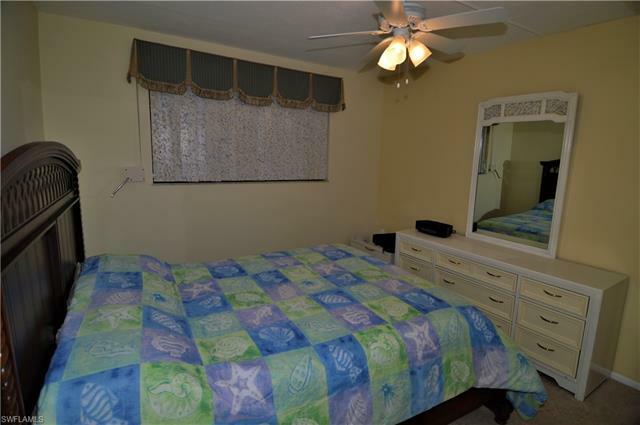 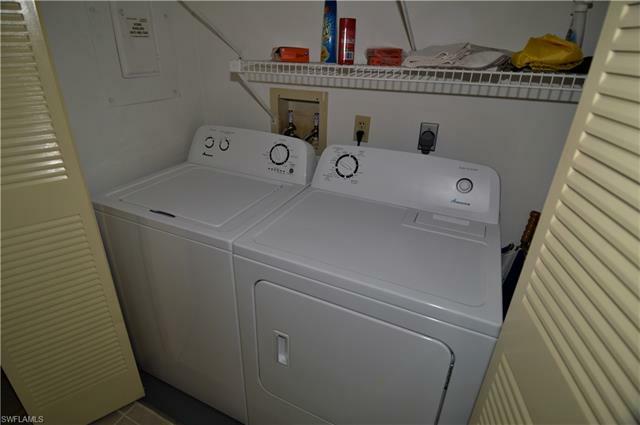 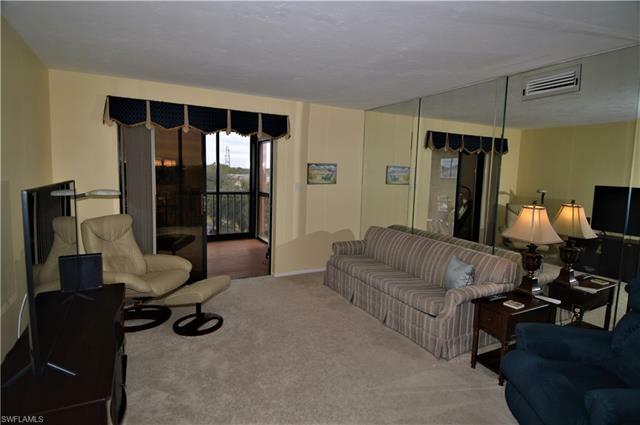 Stainless steel appliances, in unit washer/dryer, roll down hurricane shutters, assigned and covered parking. 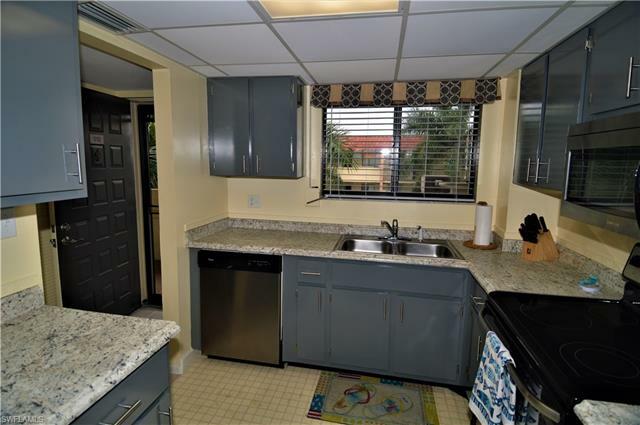 This is not a 55+ community. 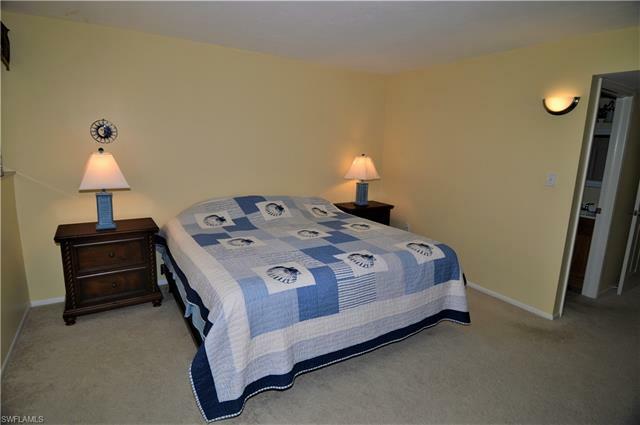 Very low monthly fees includes cable, water, sewer, insurance and all amenities.